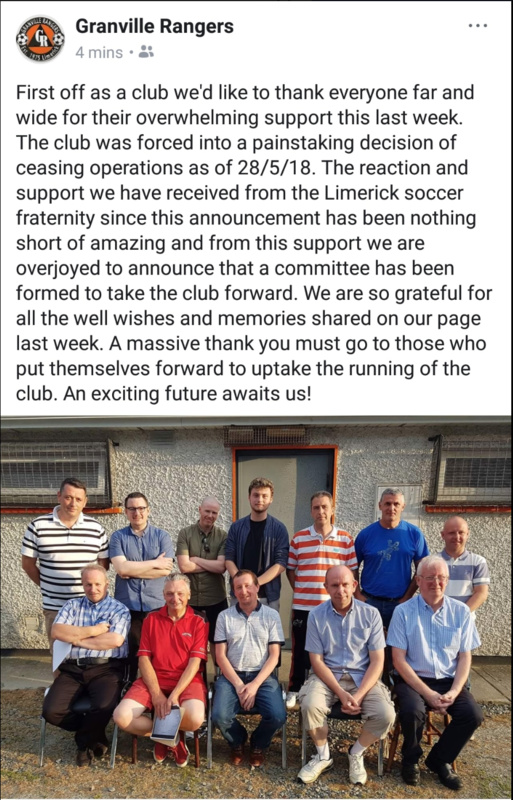 The Limerick Leader understands that Granville Rangers could be saved from the brink of extinction. After an overwhelming public response in the last week the club were approached by a number of people who had past links with the club. Those who contacted the club offered their services to keep it afloat. In more good news, a meeting was held in Glenbrook tonight and a new committee of 12 people was put together. The club was forced to attempt a wind up of operations due to the lack of off field volunteers. See more here.